Superstars Jennifer Hudson, Russell Crowe and Catherine Zeta-Jones who are previous Oscar winners would be coming together to share the stage for an act at the 2013 Academy Awards as well. 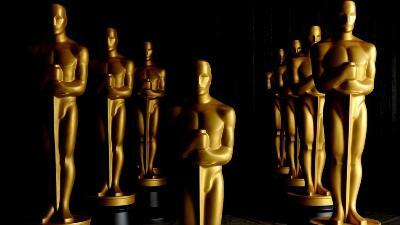 The event will take place at the Dolby Theaters in Los Angeles on Sunday, February 24, 2013. The stars would be singing to honor movie musicals, especially for those ones which have seen a resurgence in the past decade, such as ‘Les Miserables’. Another star would also be joining the trio at some point is Hugh Jackman, the lead of ‘Les Miserables’. He might have to come on stage more than once, as he is nominated for the best actor. Anne Hathaway, is also nominated for Best Supporting Actresses. ‘Captivating’ is one of the many musicals lined up for the event, which will be hosted by the talented Seth MacFarlane. The producers of the show Neil Meron and Craig Zadan are happy that they could collect so many talented people to try and make the event successful. Hudson’s ‘Dreamgirl’, Zeta-Jones’ ‘Chicago’ and ‘Les Mis’, for which Crowe had been nominated for the Best Supporting Actor, would be garnered with a musical tribute. There would be other programs lined up with stars like Barbra Streisand, who would be doing a stage performance act which is very rare. Adele, who had been nominated for her song in the James Bond movie ‘Skyfall’, could be doing a number. Norah Jones would be performing ‘Everybody Needs a Best Friend’ as well.